John Walsh doesn’t know that Tinze Lucinda Huels is alive and well. He also doesn’t know that Alexia Reale is deceased and her remains destroyed. Walsh, host of Fox TV’s “America’s Most Wanted,” claims a stranger abducted Huels in 1984 when she was 17 and lived with her husband and two small children in Tampa, Florida. Along with officials of his National Center for Missing and Exploited Children (National Center) in Alexandria, Virginia, Walsh claims Huels is still missing, her case open, unsolved, and classified as a Stranger, or Non-Family, Abduction (NFA). 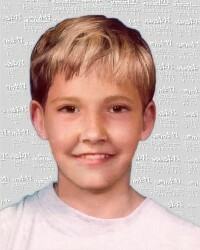 Huels disappeared on the evening of October 27, 1984, saying she was going to do laundry. Reale, eight, vanished on June 1, 1997, from Sacramento, California. She’s also classified as an NFA.